Unicorn Birthday Party! Girls Unicorn Birthday Outfit. Made to order. Handmade. 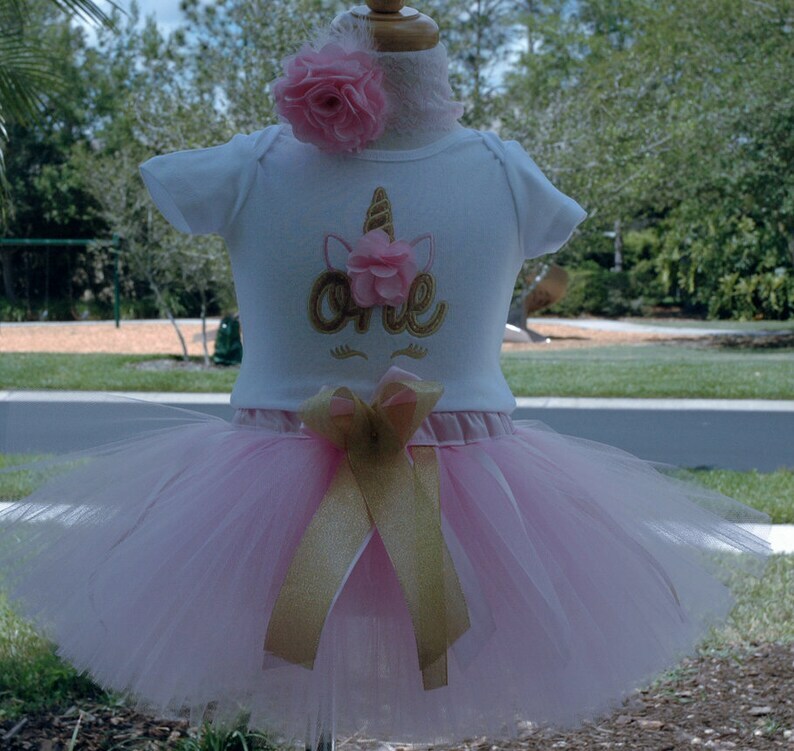 Bodysuit will be Personalized with your baby's name!. Ships in 3-5 Days. Can be customized to all birthday years and with name. Custom orders welcomed. Choose between 2 headbands. Just let me know which one you would like at checkout. Tutu will be made to order. Made with high quality pink and sparkle pink tulle. Tutu will fit very comfortable sewn at the waist with a beautiful pink satin fabric. Clip or headband available. Just let me know which one you would like at checkout in the notes section. Bow on a headband or clip, you can pick the unicorn bow. Just let me know at checkout in the notes section.